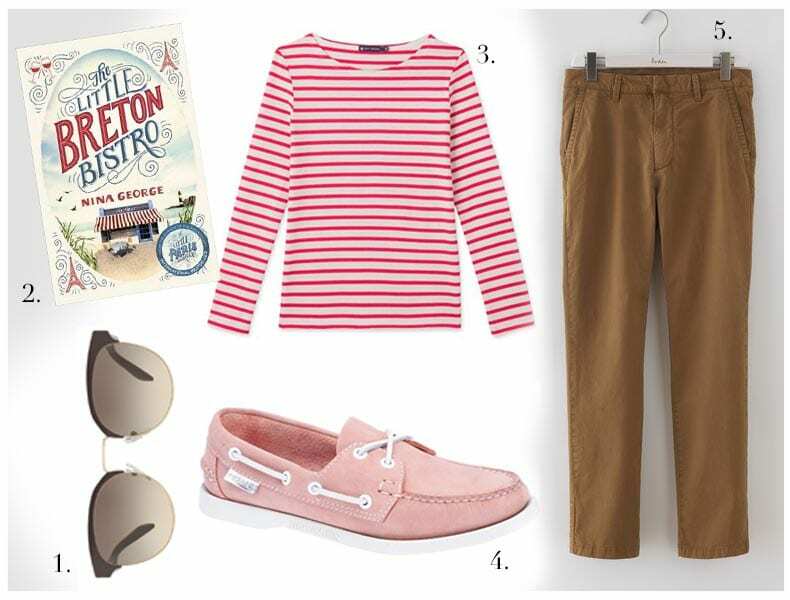 Strolling along the seafront: My go-to spring uniform is a pair of chinos and breton top- it’s just so darn comfy. I’m a little obsessed with Sebago deck shoes as they remind me of my childhood and feel quite tempted by these pale pink numbers. My latest bookshelf addition is The Little Breton Bistro by Nina George which I intend on reading on our upcoming travels. Strictly business: I’m in love with this blue linen shirt (which looks deceptively like denim) from Uniqlo, I’m going to pair this with a classic navy capri and brown leather loafers. I’ve got my eye on the Cambridge Satchel Company backpack and fancy new leather passport cover from Aspinal of London (need both monogramming!). 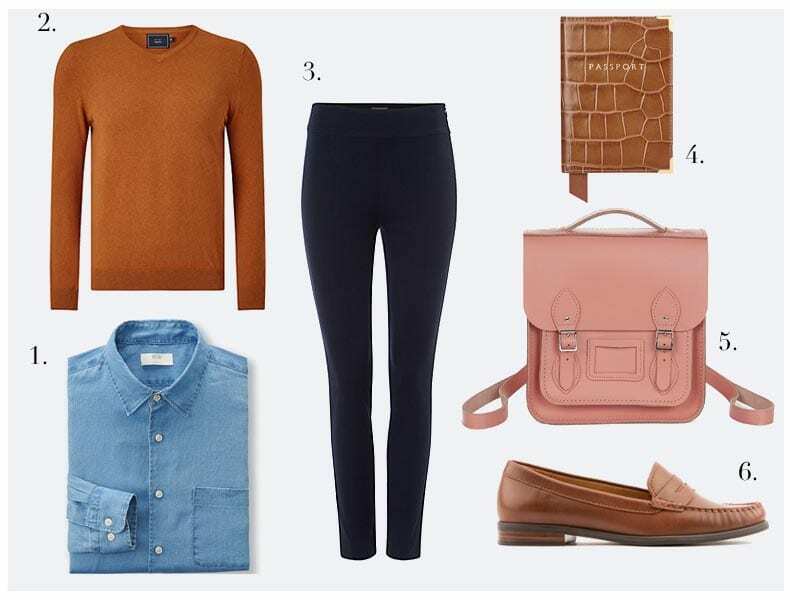 This is the ideal ensemble for springtime at work. 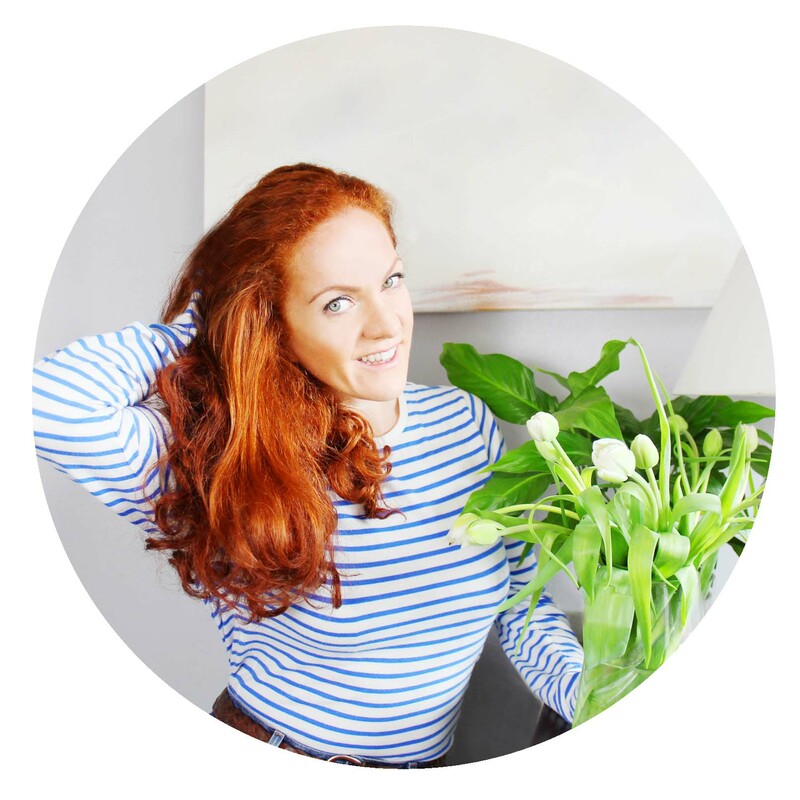 Daytime darlings: For those sunny daytimes wandering around the shops or drinking coffee on the balcony, there’s a few wardrobe essentials I’ve got my eyes on. The Lotta from Stockholm clogs are firmly on my spring wishlist, I can just see these becoming a footwear favourite for spring/ summer worn with pretty dresses. 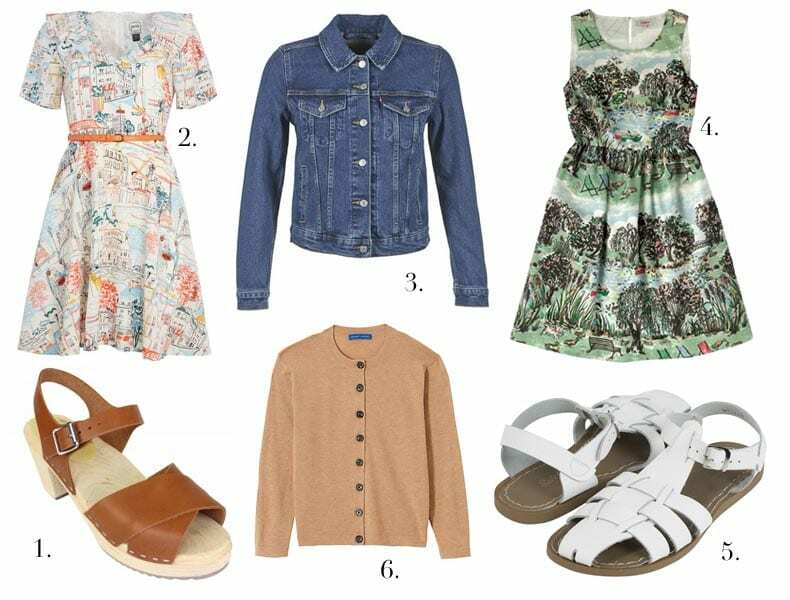 I love the Paris print dress from Joanie Clothing and the London park scene rom Cath Kidston. For when the weather heats up a little more I’m going to invest in a pair of classic Saltwater Sandals and a Levis denim jacket for when the sun sets.